The number and variety of drawing tools is as varied as the artists who practice urban sketching. Any drawing materials may be used by urban sketchers--pencils, pens, markers, pastels, etc. 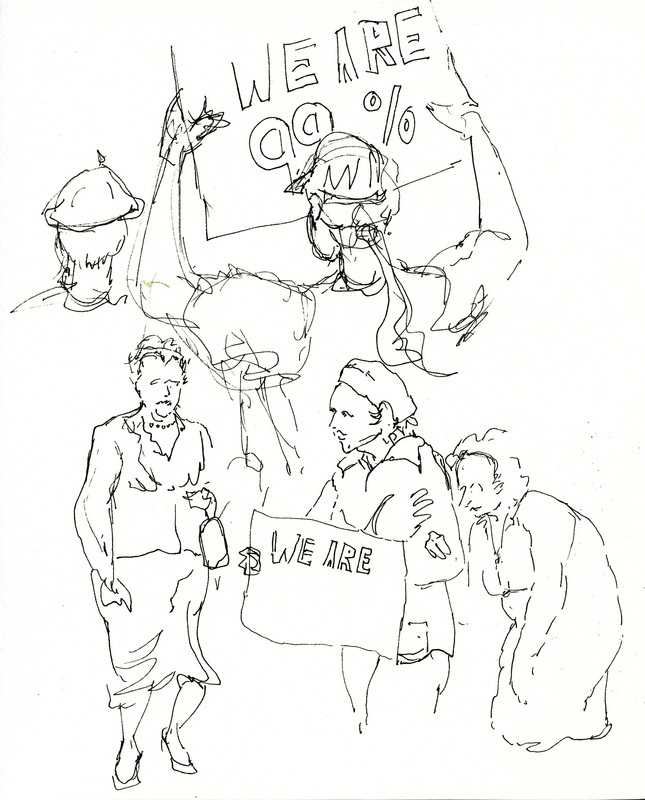 However, since much of urban sketching is done very quickly, many artists choose to start with pen and ink. Pens allow you to use line to quickly capture a scene. Pens are great for line work and can stand alone or color can be added on top. If the artist also uses watercolor or other color tools, ink pens allow you to paint much more quickly, as well. The lines of the ink drawings quickly define edges in a scene, allowing a looser and freer use of colors. This is because the artist can then focus less on separation of edges or elements and more on color. In other words, brush work is easier and quicker. Character Sketches by Karla Beatty This was sketched with a micron 01. This has long been my favorite pen because it is permanent ink and does not run much when watercolors go over the top. The fine tip 01 is good for details and for small drawings. The 05 tip is better for larger drawings or more expressive work. The ink is dark and archival, with little fade over the years. Small Boat at Wellfleet Harbor, by Karla Beatty This was sketched with a simple ballpoint pen. Unlike many ink pens, ballpoint pens are useful for creating graduated tone in drawings. A light touch gives pale, thin lines, a heavy touch gives darker, thicker lines. There are some artists out there creating amazing fine drawings using the common ballpoint pen. There is some question about the archival quality of the inks. 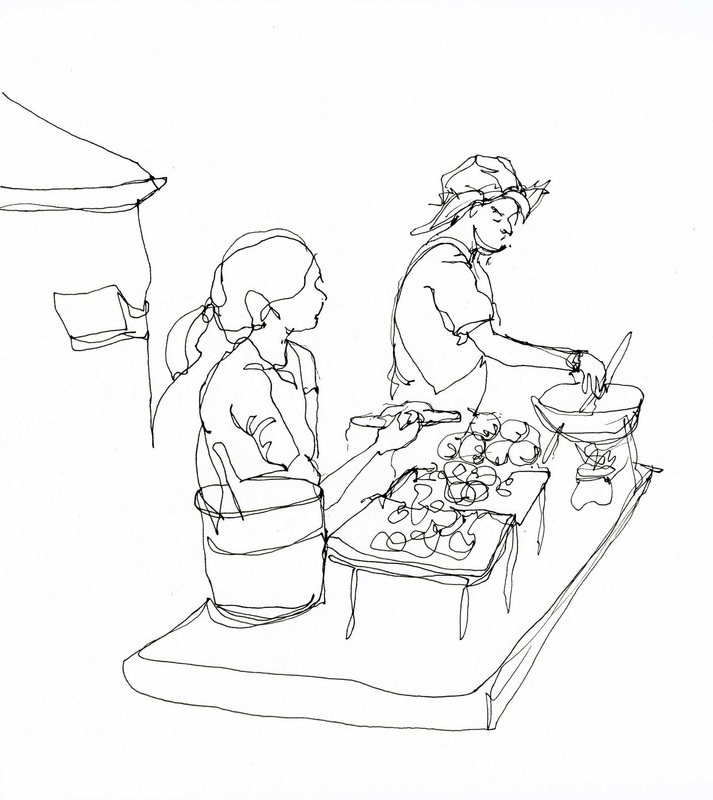 Bangkok Street Food, by Karla Beatty This quick little sketch was done with the Technica Hybrid pen. It is somewhere between a ballpoint and a gel pen in feel, but, supposedly, has archival quality inks. It has a really nice flowing feel to it for drawing. Dries quicker than gel pens and watercolor can be added over the top with little bleed. 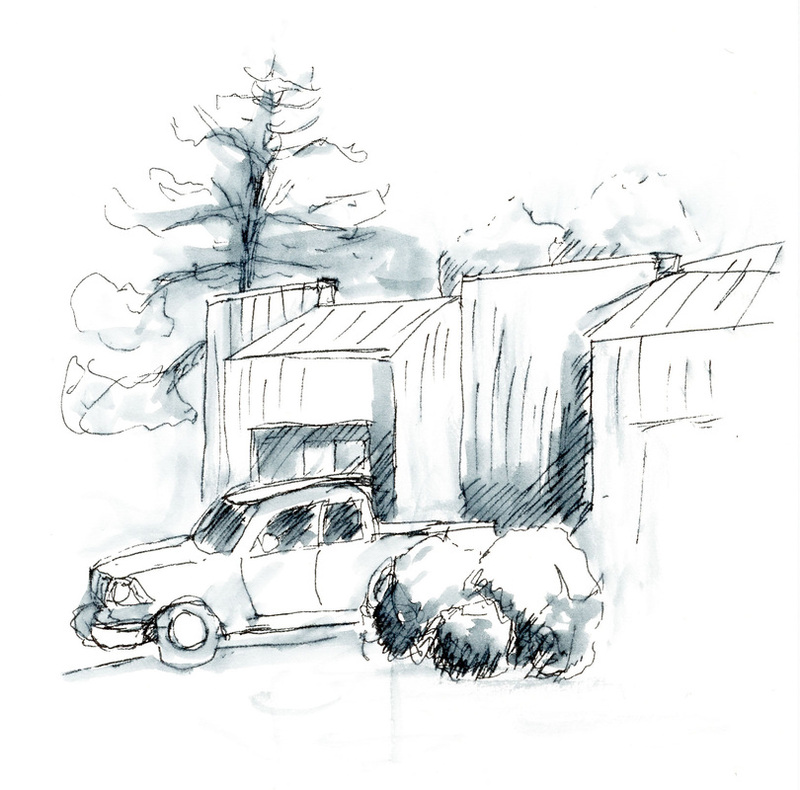 Pickup, by Karla Beatty This is a fast sketch out the window of my car with the Pentel Stylo pen. I was five minutes early for an appointment. Having a limited time gets you to work quickly and capture just the essentials. The ink is NOT waterproof. After sketching the lines, I used a waterbrush to take advantage of the ink bleeding. You might not want to use this pen with watercolors over the top because of this bleeding effect. OR you can use it to advantage for watercolors, as well, if you like to draw out the darks from the pen strokes. 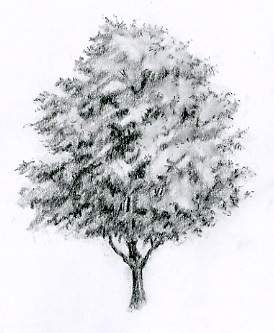 This sketch of a maple tree was done with an HB graphite artist's pencil. 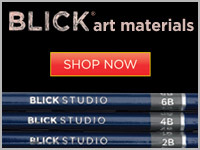 The graphite pencil has long been the first choice of artists for sketching. In fact pencils made from graphite have an interesting history. There are many choices and brands of pencils. Most follow a pencil hardness rating scale. I usually do layout drawing with an HB pencil. The 2H pencil is for fine gradation and careful work. The Ebony pencil has always been my first choice for loose, dark sketching. A graphite stick is useful for working large, as with charcoal. 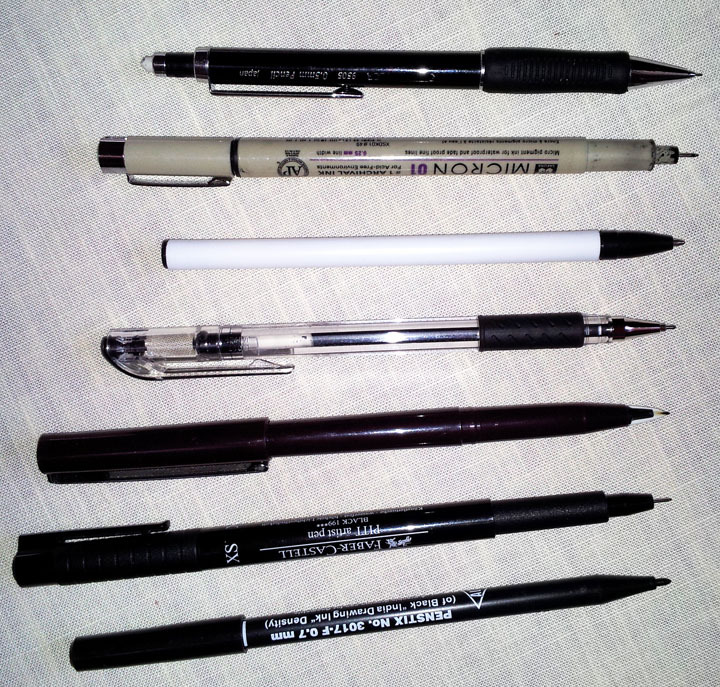 The mechanical pencil is great for travel kits because you don't need a sharpener. 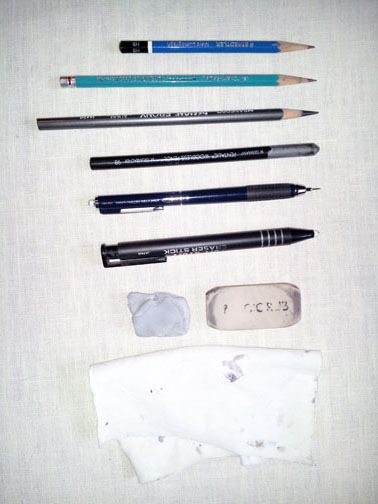 Erasers and rags fill out a graphite kit. 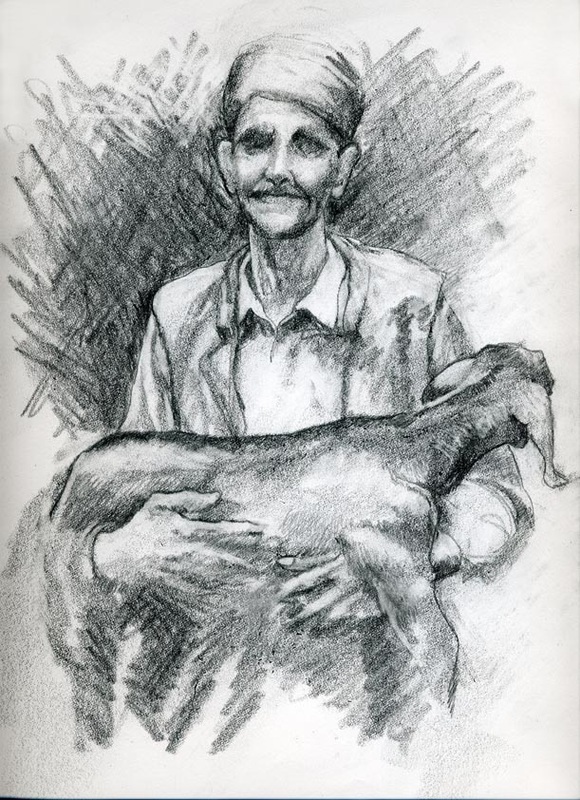 This graphite sketch of a Tibetan refugee in Dharamsala India was done with the Ebony Design pencil. Read all about it! Here are links to articles with more information about drawing tools for sketching.